This guide is designed specifically for building in the mountains. It focuses helping you understand what questions to ask and what areas you should inquire about when selecting your mountain lot. 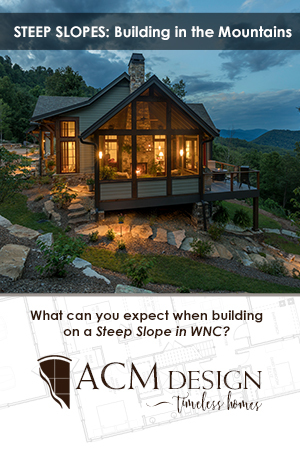 In WNC, approximately 47% of Residential lots for sale can be described as steep or sloping, therefore, it’s important to know how building in the mountains varies from other areas in the country.